Every now and again I get contacted by someone either wanting my views on some topic, or to link to a blog post or website. Most recently, Jen of Jen Reviews contacted me about linking to a post she's written on 100 best things to do in France. I had a look at it, and it has a pretty good variety of things to do, from the obvious to the less obvious. So, if you're planning a visit to France, you could do worse than peruse her suggestions. Michelin came up with a brilliant idea many years ago of colouring routes that go through attractive scenery in green. Motorbiking along these roads is the best way of exploring them, and of getting deep into the French countryside. Cycling takes more effort, and driving is not so much fun unless, I suppose, you're driving a cabriolet. The Pic St Loup is the local Montpellier landmark and is a popular walk. Take a picnic and admire the wonderful views from the top. On the top of Mont Aigoual is a functioning meteorological observatory in an imposing purpose-built castle that also houses a free exhibition and museum. There's also a nice shop and café if you don't want to face the bracing winds eating your sandwiches at the picnic tables outside. While I'm on the top of Mont Aigoual, I'll mention that it's a great place for walking, and even has a small ski resort - Prat Payrot - with 4 downhill green slopes, 4 blue and 3 red, plus 32km of cross-country skiing, including a black course. One of my favourite areas. Fabulous for motorbiking, walking, canoeing, visiting, eating, observing, skiing and all manner of other fun things to do. I looked through my blog to find a post on visits to the bamboo gardens at the Bambouseraie near Anduze, but I must have been there mainly before I started St Bloggie de Riviere. I used to go when my parents visited, and I had young boys. It's a fantastic place, well worth the visit, and has a lovely shop too. A natural follow-on to the Bambouseraie is the little steam train that runs from Anduze to St Jean du Gard with a stop at the Bambouseraie. You can make a day of it, starting at Anduze to St Jean du Gard, having a picnic, getting back on the train, stopping at the Bambouseraie and catching the last train back. Over the the Pyrenees Orientales and the town of Thuir you'll find the Byrrh factory where they make herb and spice-based liquor which was originally sold as a health tonic and eventually became part of France's aperitif culture. You go on a tour of the old parts of the factory, learn about the manufacturing process and get a tasting at the end. Absolutely fascinating, if for no other reason than it has the biggest oak cask in the world holding over 1 million litres. 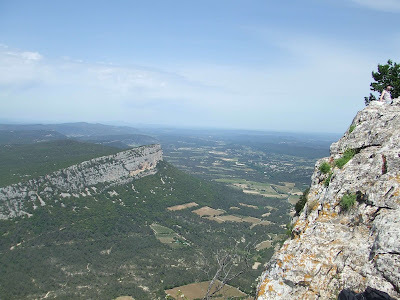 Near Clermont-l'Hérault, this is a great one for kids because they can run around the weird and wonderful rock formations and let their imaginations run riot. It's a great place for a walk for adults too. At St Jean de Bruel in Aveyron, this is another very interesting museum set in an old water mill. It's been put to different uses at different times, but one of the main ones was cleaning woollen cloth. The mill has been restored so you can see how it was done. There's also a mini hydro-electric station, a large model of a river modified to produce hydro-electricity, lots of other interesting water-related information and a place for kids to play. The village is very pretty and there are some fantastic views to be seen after walking up through shady chataigner woods to the 'sentinelle'. The Halle du Verre is in the quaint village of Claret. The region was an important glass-making centre, with manufacture monopolised by gentlemen glassblowers who came back from the Crusades with the skill and didn't want anyone else to share in their fortunes. The museum has an excellent permanent exhibition, regular temporary exhibitions, and an actual glass-blower working behind a protective glass panel. It opens on May 3 until 30 November. A great favourite with cyclists, bikers, walkers, the Tour de France, and others, Mont Ventoux is an exceptional site with its limestone scree top that looks like snow from a distance. Some good local ones on Saturday mornings are at les Arceaux in Montpellier, Clermont-l'Hérault, and Sommières. There is a vast amount of parking at Sommières which gets very full by 10.30am. I know this because I went through Sommières yesterday on my way to a mountain bike enduro site and saw how many cars arrived between 9.45am and 10.30am. I'm sure there are others, but I just don't know about them. I seem to remember that Olargues has a lovely organic market but it's just once a year, this year on 15 August 2017. Special 'estivale' organic markets are popular in the summer. About this time of year you also get the 'Médievales' which are great for families. My boys used to love them. They combine a market, sword fights, brave knights in shining armour, damsels in distress, jousting, etc. You can visit them all over Languedoc Roussillon, information here. My youngest used to love visiting ruined castles. He used to dress up in his Crusader kit and, preferably with his brother and a buddy, would be happy to walk to the castle of the day and spend a productive afternoon doing battle. Languedoc Roussillon and beyond has many ruined castles from the imposing, impressive Cathar castles in the PO, to less frequented and easier to get to ruins nearer to home. Before Wikipedia came to the rescue of those in search of information on the castles of Hérault (for example) I used to take a map, look for the ruined castle symbol which, on Michelin maps is a triangle made up of three black spots, pack a picnic and get in the car. Our most local ruin is the château de Montferrand above St Mathieu de Tréviers together with the château de la Roquette. There are many festivals throughout France, and depending on your poison, you can probably find one that suits. Festivals that I have been to or go to regularly include the FISE (extreme sports festival) held in May (24-28, 2017) showcasing the best of BMX, Roller, Skateboarding, Wakeboarding and MTB scenes. Then there's the Tomato Festival in Clapiers in September (250 varieties on show, plus lovely market), the International Short Film Festival (court metrage) in Clermont-Ferrand in February, the Avignon arts festival in July, Montpellier Danse, also in July, and the Montpellier music and film festival des Nuits d'O in August set in the shady grounds - you bring a picnic or buy something en site, and sit at long picnic tables eating before the band of the evening starts. It's very cool. This takes place in Orange June 16-17, 2017, and gathers together bikers who love the idea of adventurous travelling, want to go on an adventure trip, have been on a trip, are preparing for a trip and so on. We particularly enjoy the presentations made by bikers (men and women) who were sponsored for their trip and have to give a presentation of what happened. We've listened to a young woman who rode from Canada down to Ushuaia, a couple who rode from France to Iran, others who rode around India, and so on. It makes for a fantastic day out if you like motorbikes. I don't often go to the beach in summer, but it is fun to go with friends to one of the many 'paillotes' - pop-up restaurants on the beach with private sections of beach that are installed for the summer and have to be taken down again in the autumn. Go in the evening for an apero, for example. Balmy air, the lapping of the waves, a glass of chilled rosé, trendy décor, it's definitely a cool thing to do. He has also had lots of fun on his birthdays doing paintball, and Accrobranche, and can't wait until he's 18 when he can join an air-soft club. As an outdoor type, he loves mountain biking and there are many fantastic sites where you can ride for pleasure and take part in competitions. We often go skiing to Mont Aigoual to Prat Peyrot, but this year went to Prapoutel in the Alps which was much bigger, much better and more fun, even in the bad weather. He has also greatly enjoyed canoeing/kayaking on the Hérault river, and jumping off the rocks into the river at the Pont d'Issensac. There is of course, so much more to do (like vigneron picnics, or various circuits by foot, bike or car), but I hope you enjoyed my list, and I'm always keen to get recommendations. That must have been a great walk along memory lane looking through photos and remembering these trips with your boys. I think I'd make a beeline for the Byrrh factory to see the biggest oak cask then take in a festival or two - and a market - and a ruined castle! Hi Bev, thank you so much for your comment. Life is full of a series of happy coincidences. If you're going to Beziers, you have on your doorstep the lovely Canal du Midi which you can cycle along. There's also the Oppidum d'Enserune which is fascinating.